Dr. Esther Dreifuss-Kattan is a psychoanalyst, psychotherapist and art therapist in private practice in Beverly Hills, California. Dr. Esther Dreifuss-Kattan was President of the New Center for Psychoanalysis in Los Angeles from 2016-2018. She works with adults of all ages, adolescents and children. Given Dr. Dreifuss-Kattan’s own artistic background, she specializes in helping clients who are involved in various creative pursuits and/or who work in the entertainment industry and the art world: film, television, music, visual arts, fashion, talent agents, academics, and those in public relations. Dr. Dreifuss-Kattan’s second specialty is working with adult and pediatric cancer patients/survivors and their families as well as those with chronic pain. In addition to her private practice, she also works extensively with Los Angeles-based organizations devoted to treating those with illness. She is part of the team at Chai Lifeline West Coast, a non-profit organization that helps families who have a child with cancer. 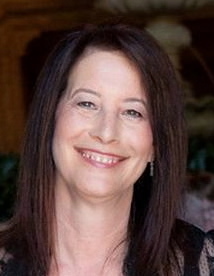 She is clinical consultant to the Pediatric Pain and Comfort Care Program at UCLA and Whole Child LA and a Group Facilitator/Clinical Specialist at the Hematology/Oncology Department at the David Geffen School of Medicine where she leads the “The Healing Arts Group” for the Simms/Mann UCLA Center for Integrative Oncology. Dr. Dreifuss-Kattan also works with mature adults as they embark on retirement, set new personal and professional goals, and find continued creative inspiration. Dreifuss-Kattan also leads an Art Healing and Empowerment Workshop for women who are immigrants from Mexico through the Mar Vista Family Center in Los Angeles. Dr. Dreifuss-Kattan is currently a senior faculty member at the New Center for Psychoanalysis. She has taught at UCLA Extension in the Health Sciences and Visual Arts departments, at Tel-Aviv University in Israel in the Clinical Psychology Graduate School, and at the Extension Program of Zurich University in Switzerland. Her published books and articles center on clinical practice and theory in psychoanalysis on Art Therapy and Psychooncology. She lectures nationally and internationally. She received her PhD in Psychoanalysis from the Southern California Institute of Psychoanalysis, now the New Center for Psychoanalysis in Los Angeles, and earned another PhD in Art Therapy and Psychooncology from the Union Institute and University in Cincinnati, Ohio. She is registered with the California Medical Board as a Research Psychoanalyst. RP-58, and credentialed as an ATCB art therapist with the American Art Therapy Credentials Board. She is a member of the American Psychoanalytic and the International Psychoanalytic Association, the American Psychological Association and the American Art Therapy Association. Dr. Esther Dreifuss-Kattan speaks fluent English and German, as well as conversational French and Hebrew.